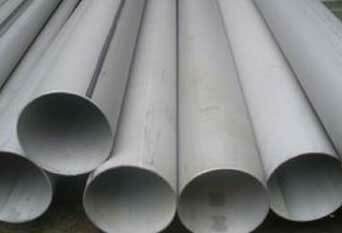 ISO Approved Supplier & Exporter of Seamless & Welded Stainless Steel 444 Pipes & Tubes. Stainless Steel TP 444 Tubes, SS 444 Pipe, Seamless Ferritic Stainless Steel 444 Welded Pipes, Stainless Steel 444 Pipe, ASTM A731 SS 444 Pipes Dealer, Stainless Steel 444 Seamless Pipes, SS 444 Seamless Tubing Stockists, Inox 444 Pipe, 444 SS Tube Supplier in Mumbai, India. Piyush Steel is a distinguished distributor and exporter of Stainless Steel TP 444 Pipes which does not harden excessively during cold working. Stainless Steel UNS S44400 Pipes and Tubes is a low carbon, dual stabilised, molybdenum containing ferritic stainless steel with good ductility, toughness and resistance to sensitisation, even in the welds. Stainless Steel Din 1.4521 Pipes and Tubes is equivalent to Type 304 in many corrosion environments and has lower coefficient of expansion and better thermal conductivity. SUS 444 Pipes is stabilized with additions of columbium and titanium for resistance to intergranular corrosion. SUS 444 Tubes is ductile and can be formed using a wide range of roll forming or mild stretch bending operations as well as the more common drawing and bending operations. 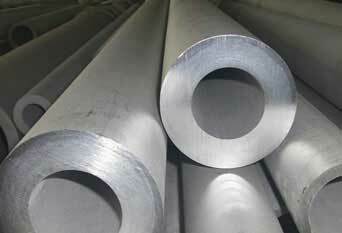 Buy 444 Stainless Steel Seamless Tubing at reasonable cost from us. 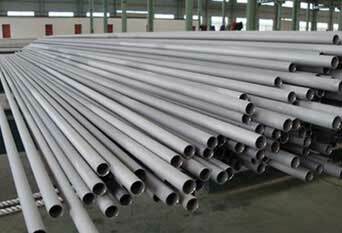 SS TP444 Welded Pipes, TP444 Stainless Steel Seamless Pipe, SS UNS S44400 Pipes, Stainless Steel 444 Tubing, ASTM A268 Stainless Steel TP444 Seamless Tubing, ASTM A268 444 Welded Tubes, Stainless Steel TP444 EFW Pipes Exporter, SS 444 Tubing Manufacturer in India. Stainless Steel ASME SA731 TP 444 Pipes, Large Inventory of Stainless Steel TP 444 Seamless Pipes, 444 Stainless Steel Pipe, SUS 444 Stainless Steel Pipes, ASTM A268 Seamless and Welded Ferritic Stainless Steel 444 Tubing, TP 444 SS ERW Pipes, 444 Stainless Steel EFW Tubing Stock Holder. Thanks to the molybdenum alloying and rather high 18 % chromium content, Type 444 Pipes has excellent corrosion properties. 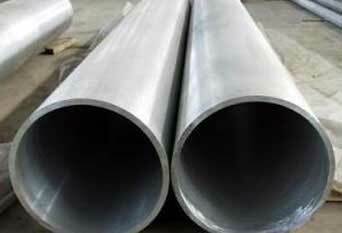 Martensitic Stainless Steel Grade 444 Pipes provides excellent corrosion resistance in moderately severe environments of many types that include chlorides and organic acids found in foods and beverages. AISI 444 Tubes provides excellent formability and can be readily deep drawn and spin formed. Also Type 444 Tubes can be readily cold-formed by all standard processes. AISI 444 Pipes is particularly suitable for deep drawing. The deep drawability of the grade is comparable to that of deep drawing quality carbon steels. One big advantage of the Alloy 444 Pipes over austenitic stainless steels, such as 304 and 316 alloys, is the practical immunity of the Alloy 444 Tubes to chloride stress corrosion cracking (SCC). Applications requiring superior corrosion resistance and resistance to chloride stress corrosion cracking are ideal for these SS 444 Tubes. And thus, Martensitic Stainless Steel Grade 444 Tubes is often used in food processing, brewery and wine making equipment, hot-water tanks, heat-exchanger tubing and automotive components. We Supply SS 444 Pipes & Tubes of various origin’s and companies like Nippon Steel & Sumitomo Metal, Sandvik, Sanyo Special Steel, Kobe Steel, Schoeller Bleckmann, Salzgitter Mannesmann Stainless Tubes, Tubacex etc. stainless steel 444 tube pipe, 444 stainless steel pipes and tubes, 444 Ferritic Stainless Steel, 444 stainless steel pipe, 40mm stainless steel 444 tube, 444 stainless steel tube manufacturers in mumbai, india, 444 stainless steel tube steel, 444 stainless steel, 444 stainless steel pipe tube, prime quality tp444 stainless steel seamless pipes, 10mm stainless steel 444 tube, 444 stainless steel pipe price list, 444 stainless steel tubing sizes, martensitic stainless steel 444 pipe, large diameter steel 444 pipe manufacturers in india, 6 stainless steel 444 pipe, perforated 444 stainless steel pipe, 444 stainless steel pipe specifications, stainless 444 exhaust pipe tubing, 444 stainless tubes and pipes, ss 444 seamless pipe sizes, 444 stainless steel tubing suppliers, tp444 seamless pipe manufacturer, 444 stainless steel tubing price in mumbai, india, stainless steel 444 pipe price, stainless steel 444 coil tube, stainless steel 444 tubing suppliers in mumbai, india.